Polymer modified mortar is produced by mixing water with polymeric admixtures, Portland cement, and sand. The addition of polymer improves mortar’s performance and consequently can be utilized advantageously and economically in several applications. Latex polymers, redispersible dry polymers, water-soluble polymers are the different types of polymer used to produce polymer modified mortar. In addition to improving the workability, Polymers enhance adhesion, toughness, flexural or tensile strength, and resistance to chemicals, and freezing and thawing resistance of mortar. Polymer modified mortar also requires less water compared to traditional mortar which results in a more dense mortar with fewer pores. Time and again, it has been demonstrated that polymers improve tensile strength, flexural strength, impact and abrasion resistance, water resistance, and chemical resistance of polymer modified mortar in comparison to mortars without polymers. Added to that, polymers restrict the micro-crack propagation which improves the overall toughness of the mortar. 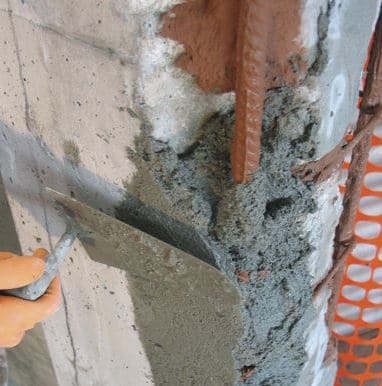 Polymers make mortar more fluid and easier to handle and apply. It acts as a water-reducer, eventually leading to a stronger mortar with fewer voids. Specific types of polymers extend the hydration period which increase working time. This is considerably advantageous in hot climates. Due to the fact that Polymers act as an adhesive, it improves the adhesion of mortar to different surfaces like concrete, masonry, brick, wood, rigid polystyrene and polyurethane foam, glass, and metals. This property is specifically crucial in thin section overlay mortar applications and applications with excessive vibration and heavy traffic. Curing of mortar is one of the major factors that controls its strength. It is required to provide adequate water to have proper curing especially during the early stages of curing process; roughly the first five to seven days. 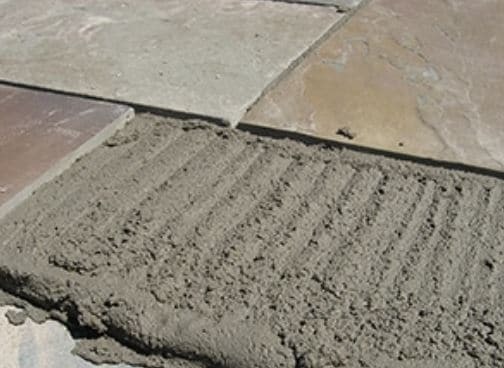 It has also been demonstrated that polymers improve mortar curing because it reduces the rate of water evaporation. This reduced rate of water evaporation is especially important in thin applications, where the surface area for evaporation is high, relative to the volume of the mortar. Finally, since polymer modified mortar requires less water compared to ordinary mortar, it does not experience drying shrinkage as much as traditional mortar. It is the most widely used application of polymer modified mortar. Reduced water and salt ingress makes polymer-modified mortar ideal for masonry exposed to weathering and other exterior conditions. 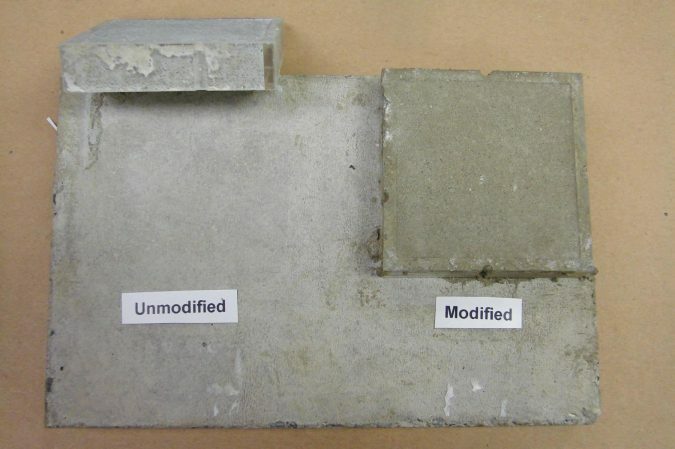 Polymer-modified thinset mortar is designed to adhere tile to concrete and cement board substrates without needing to soak the tiles beforehand. Polymer-modified mortars are widely used for repair purposes because of their minimized shrinkage and ability to bond with the densest surfaces. It is used for repairing cracks and delamination of concrete structure and cracks. Its application during the construction of basements, bulk water storage tanks, septic tanks, ship decks, roof decks, and concrete walls helps provide a strong resistance towards water and chemicals. Polymer modified mortar can be utilized for commercial flooring overlay formulations, warehouses, factories, hospitals, stairways, and garages.